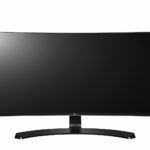 LG has announced a new curved ultra-wide monitor dubbed as the LG 38WK95C. This giant 37.5-inch display will feature the stellar 3840×1600 24:10 resolution in order to fill its vast screen space with maximum detail thanks to the pixel density of 110 PPI (Pixels Per Inch) which many consider the sweet spot. 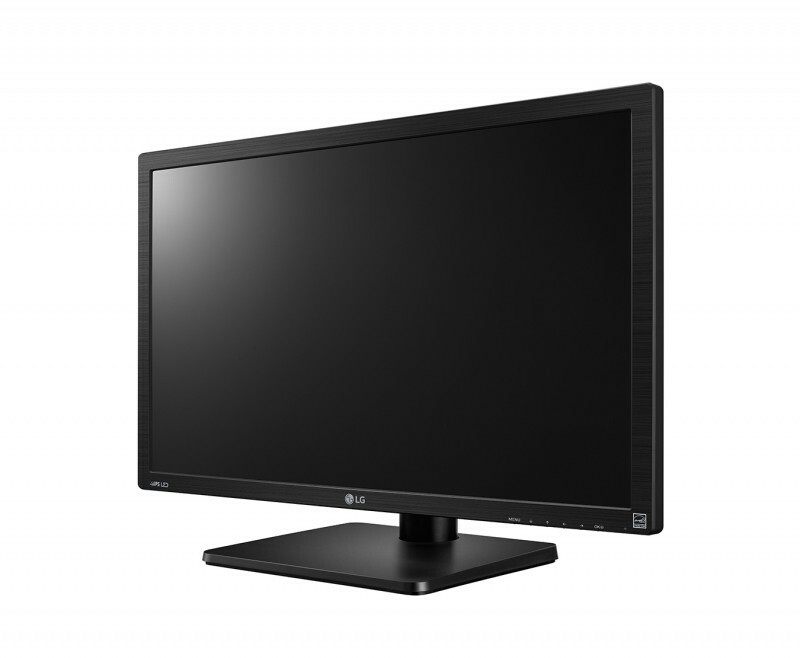 Additionally, the monitor offers a high-quality IPS panel, rich connectivity, a modern design, and all the exclusive features we’re used to when it comes to LG monitors. The LG 38WK95C will also support HDR10 though it’s software-enabled HDR only. 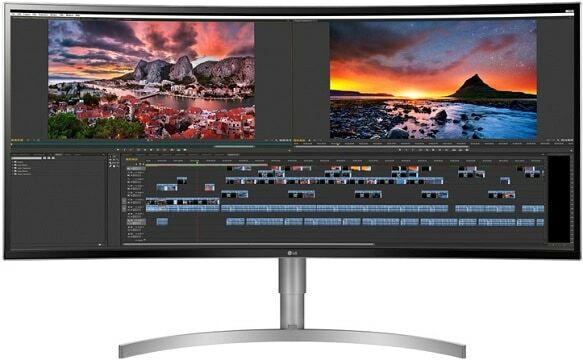 For the 38WK95C-W ultra-wide monitor, LG’s relies on their own AH-IPS panel which offers 10-bit color support through dithering (8-bit + FRC) with over 99% sRGB gamut and advanced 6-axis adjustments available making the display adequate for professional color-critical work. The UWQHD+ resolution of 3840×1600 pixels makes this monitor great for everything else as well. For work and other professional purposes, the LG 38WK95C will provide you with a plenty of screen real estate making multi-tasking seamless. In games, the ultra-wide resolution along with the monitor curvature ensure an immersive and engaging gameplay. The IPS panel also delivers the impeccable 178-degree viewing angles as well as a quick 5ms (GtG) response time speed. This means that the colors will remain perfect no matter the angle you’re looking at them as well as that there will be no prominent ghosting of the fast moving objects. The LG 38WK95C IPS monitor packs a bunch of features as expected from an LG display. Apart from the common features useful for everyday use such as Screen Split and On-Screen Control, the monitor also offers exclusive game-enhancing features such as Black Stabilizer, Dynamic Action Sync, Game Mode, and lastly the AMD FreeSync technology. While Black Stabilizer increases the visibility in dark areas of games the D.A.S. ensures the best input lag performance minimizing the time the monitor takes to display your commands. Game Mode consists of pre-calibrated and customizable gaming presets including two for FPS, and one RTS preset. If you have an AMD FreeSync-compatible graphics card, the LG 38WK95C will be able to synchronize its refresh rate to the GPU’s frame rate and thus eliminate all screen tearing and stuttering. 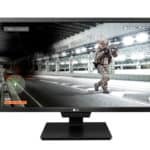 The LG 38WK95C FreeSync dynamic range is unknown at the moment but will likely amount to ~52-75Hz. As we’ve already mentioned, the monitor will offer HDR 10 support. However, since the display specs include only the standard 300-nit peak brightness and sRGB color gamut, among other things, the HDR content won’t be significantly improved – certainly not in comparison to the other HDR monitors. The LG 38WK95C features a modern design with ultra-thin bezels and the standard ArcLine stand. The ergonomics include height adjustment and tilt, but it’s unclear whether the monitor is VESA mount compatible. When it comes to the connectivity, the connectors are as follows: two HDMI 2.0, a DisplayPort 1.2a (for FreeSync), a USB-C, two downstream USB 3.0 ports, and the headphones jack. There are also two 10W integrated RichBass speakers. The LG 38WK95C price amounts to $1500 and it should be available soon. 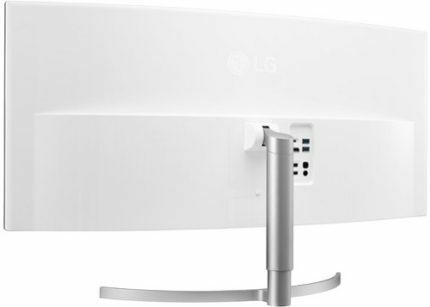 Essentially, it’s the updated model of the equally priced LG 38UC99 which features all the same specs except for the support for HDR and the higher 75Hz refresh rate. The previous model, however, also had the 1ms Motion Blur Reduction technology and Bluetooth speakers. If you’re looking for a similar monitor for gaming, we suggest you have a look at the Acer 382CQK which we’ve reviewed. It features all the same key specs including the 3840×1600 resolution, IPS panel, and AMD FreeSync yet it’s available for considerably less money. While the LG 38WK95C looks like an undoubtedly great monitor for gaming, working, and everything else, Acer offers their models with the same specs for much less. You can find more information about the LG 38WK95C at LG’s official website.